We’re big supporters of eating fresh produce while it’s in-season. 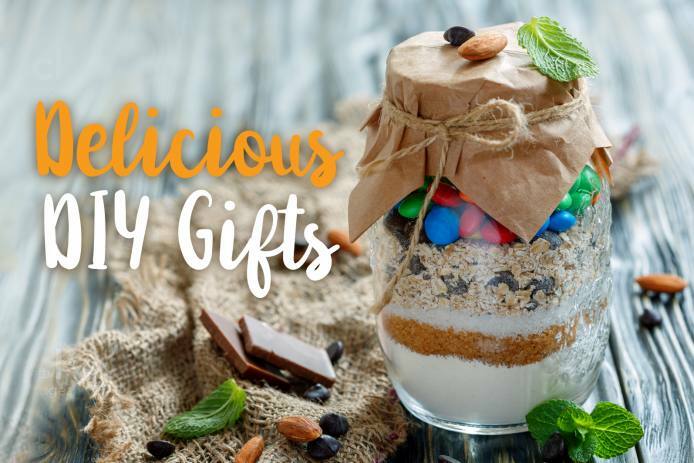 Sure, you can get just about anything at any time of year, but fruits and vegetables are always best in-season. In fact, asparagus, one of our favorite vegetables, is in season right now and we can’t get enough of it! 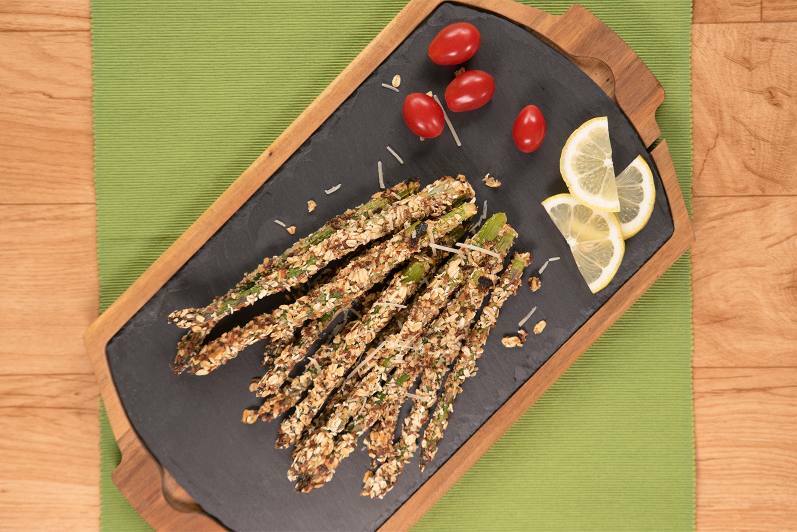 As with most vegetables, asparagus are good on their own, but great breaded. When we start talking about a crispy, crunchy parmesan-oat breading, things really start to take off. The beauty of using oats to bread your asparagus is they are the perfect foil for such a delicate vegetable. They crisp up quickly in the oven, giving you a beautiful-golden brown coating on tender, bright green spears. It’s almost too pretty to eat. Almost. 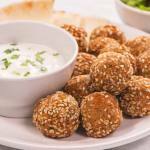 Falafel is one of the earliest forms of fast food. 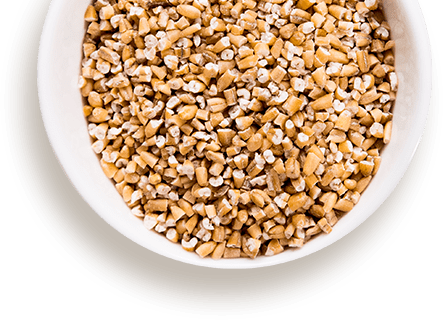 Our version is lightly spiced and rolled in a mixture of sesame seeds and oats for a crisp exterior. Serve in pita pockets with lettuce, tomato, onion and a drizzle of tahini or hot sauce, or on top of a green salad for a light summer meal. 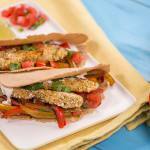 Strips of tender chicken are breaded in a savory oat coating and baked alongside a colorful medley of peppers and onions. Serve with oat tortillas, grated cheese, sour cream and chopped cilantro. 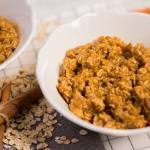 Cozy up to a bowl of creamy oats, simmered with real pumpkin and warming spices. 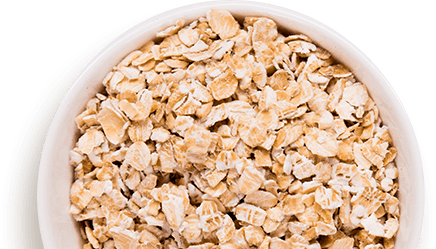 It’s simple, satisfying and the pumpkin lends an added boost of fiber and Vitamin A.
You’ve probably heard us refer to oats as “portable” many times. 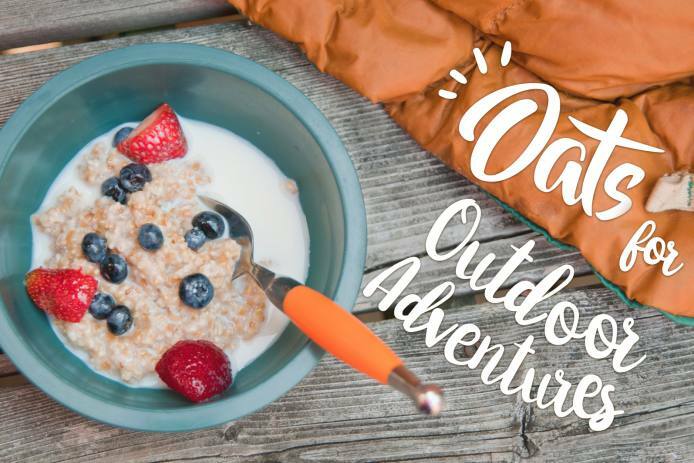 From Breakfast Cookies to Smoothies to Individual Chickpea and Oat Salads, oats are just begging to be taken on an adventure. 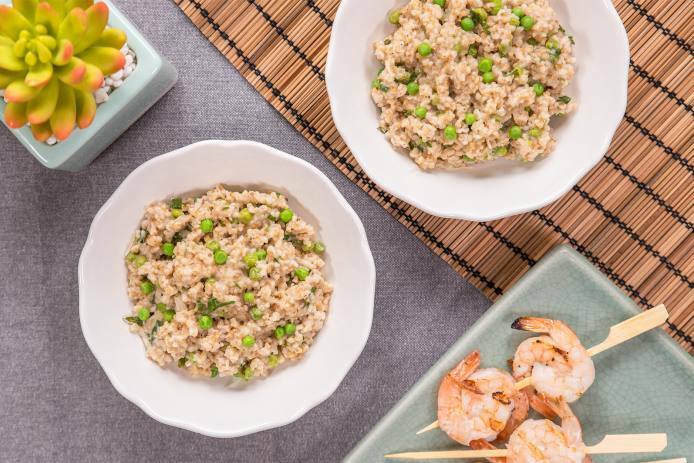 You may have seen tv shows or read recipes that portray risotto as a challenging and time-consuming dish. 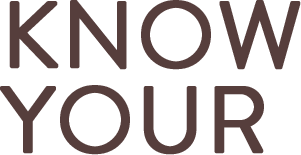 Well, we can get you around the challenging part and as far as time-consuming goes – do you have 30 minutes? If so, let’s do this. 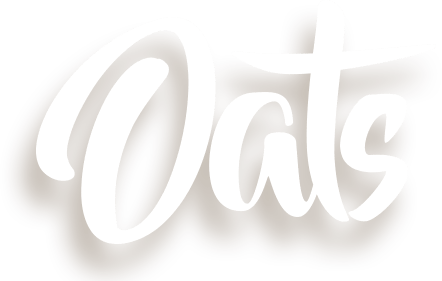 with recipes, great tips and creative ways to enjoy oats everyday. 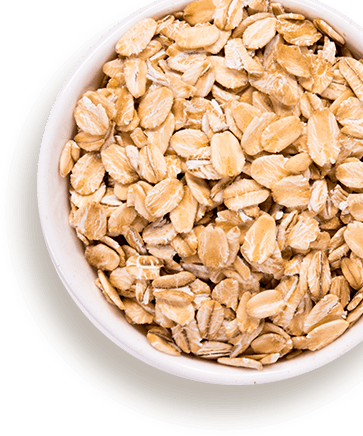 © 2019 Prairie Oat Growers Association.